This easy recipe for one-skillet salmon with curried leeks delivers perfectly cooked fish with a crispy seared skin. A tangy, refreshing yogurt sauce adds a bright kick. Searing the salmon first ensures browned, crispy skin. Sautéing the leeks guarantees they cook through fully. Finishing in the oven in one skillet brings it all together. Preheat oven to 325°F (163°C). Dry salmon very well with paper towels, then season all over with salt and pepper. In a large cast iron, carbon steel, or stainless steel skillet, heat 2 tablespoons (30ml) oil over medium-high heat until shimmering. Reduce heat to medium-low, then add a salmon fillet, skin side down. Press firmly in place for 10 seconds, using the back of a flexible fish spatula, to prevent skin from buckling. Add remaining fillets one at a time, pressing each with spatula for 10 seconds, until all fillets are in the pan. Cook, pressing gently on back of fillets occasionally to ensure skin makes good contact with pan, until skin releases easily from pan and is crispy, about 6 minutes. Transfer salmon, skin side up, to a platter and set aside. Add remaining 2 tablespoons (30ml) oil to skillet and heat over medium-high heat until shimmering. Add leeks and cook, stirring, until they begin to soften and compress (tongs can help move them around more efficiently), about 3 minutes. Add curry powder and stir well to combine. Continue cooking until leeks are very tender, about 6 to 8 minutes longer. Lower heat at any point to prevent scorching. Season with salt and pepper (be careful, as some curry powders contain salt). Arrange salmon on top of leeks, skin side up, and transfer to oven. Cook salmon until an instant-read thermometer registers 110°F (43°C) in the very center for rare, 120°F (49°C) for medium-rare, or 130°F (54°C) for medium, 5 to 7 minutes. Transfer salmon and curried leeks to plates and spoon cold yogurt sauce alongside. Serve. 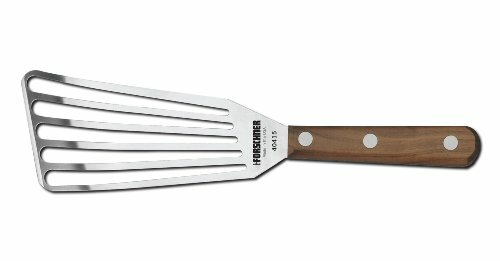 Large (12-inch) cast iron, stainless steel, or carbon steel skillet; offset slotted spatula (fish spatula); instant-read thermometer.